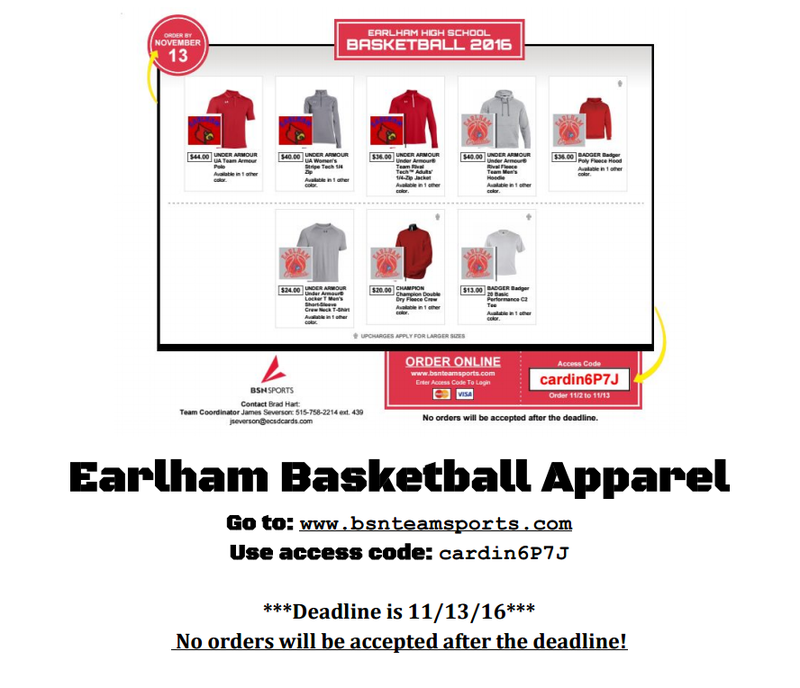 Basketball Apparel is now available for purchase online only! Please go to www.bsnteamsports.com and use the code cardin6p7J. No orders will be taken after November 13th.